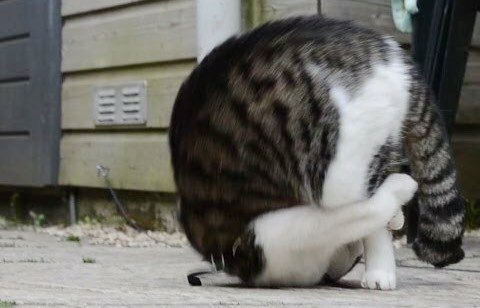 cat: Meet the Somersault cat! Wow, cats can’t stop learning tricks everyday, right? According to the kitty’s human, Jeroen Okkerse, when his cat is hyped, he does insane somersaults. Wildcats can go on 40 hunting trips per day, so domestic cats, who live more of a sedentary lifestyle, need other ways to help them burn off the redundant energy.